On December 10, 2011 numerous calls were received reporting a multi-residential structure fire. 911 Dispatcher Jasmine Pomeroy processed a call from a panic-stricken woman reporting her apartment was filling with smoke and that she could not get out. Due to the fire conditions, residents were instructed to shelter in place (stay in their apartments). The fire was on the sixth floor and the caller was on the 12th floor. Jasmine remained online with the caller and gave clear instructions to stay in her apartment. She made great efforts to keep the caller calm, while assuring her help would arrive soon. Jasmine not only kept the caller aware of what was happening, but also those responding to the fire. She was on the phone with the caller for nearly 18 minutes until fire fighters were able to rescue her. Thanks to Jasmine’s care and concern, along with clear and confident instructions, a woman in a very serious situation was not alone and did not take any actions that could have risked her life. Way to go, Jasmine. You make DEM proud and join the ranks of an SF Hero. 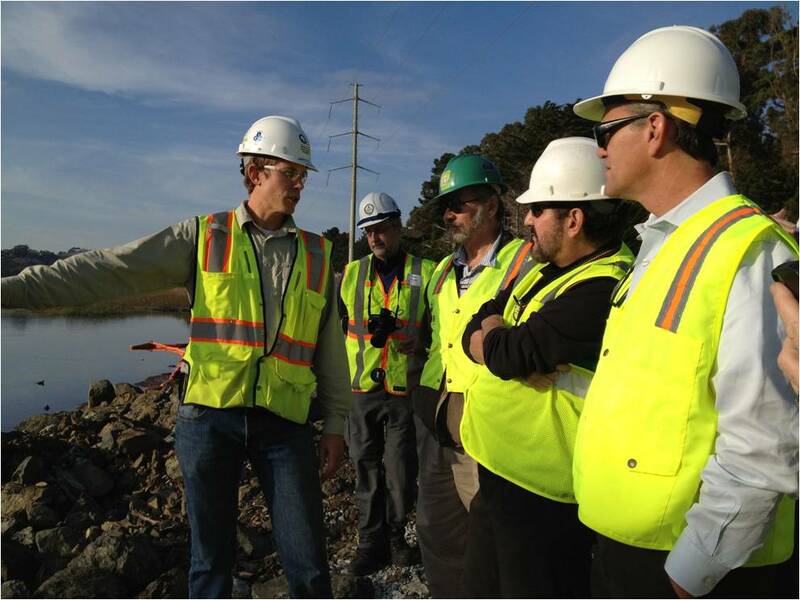 Several weeks ago, the San Francisco Public Utilities Commission (SFPUC) took DEM on a tour of the various projects associated with the Water System Improvement Program. Thanks very much to SFPUC for sharing the story of the tour on the DEM Blog. 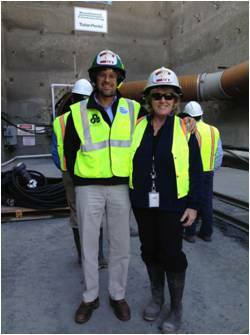 On December 14, 2011, SFPUC took leaders from several emergency preparedness and response agencies on a day long tour of various project sites of the Water System Improvement Program (WSIP). The tour demonstrated the SFPUC’s efforts to upgrade its regional water distribution system to withstand major seismic activity on any of the three major fault lines the system crosses. Participants in the tour included: Director Anne Kronenberg and Emergency Services Manager, Bijan Karimi from the San Francisco Department of Emergency Management, representatives from the California Seismic Safety Commission and the U.S. Department of Homeland Security, and Acting Secretary Mike Dayton from California Emergency Management Agency (CalEMA). 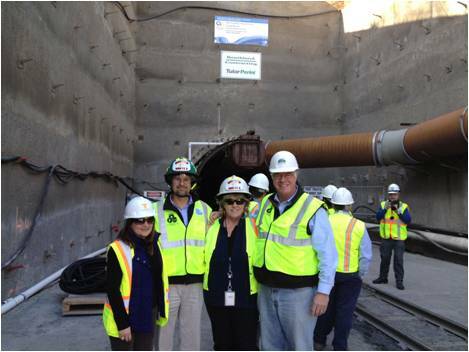 The guests toured to seven different WSIP sites, including the Sunol Valley Water Treatment Plant, New Irvington Tunnel, Harry Tracy Water Treatment Plant, and Bay Tunnel, which will be the first tunnel built under San Francisco Bay. At each project site, the group met with SFPUC representatives to talk about seismic safety and infrastructure security related to the projects. At the Sunol Valley Water Treatment Plant , the tour stopped for coffee and a heard an overview WSIP presentation from Julie Labonte, WSIP Director. During the tour, SFPUC Assistant General Manager for Water Steve Ritchie and SFPUC Emergency Planning Director Mary Ellen Carroll discussed the agency’s efforts to improve our hazard mitigation and emergency preparedness and response as we work to insure the delivery of our exemplary drinking water, especially after a major disaster. Recent blog posts from DEM’s visit to Van, Turkey to see the devastation of the recent earthquake serves as a reminder of how we must all better prepare our communities and especially our lifelines, such as drinking water, for the next big earthquake. *For more information about the Water System Improvement Program and seismic improvements, please see this recent KQED Quest video. Isn’t the New Year inspiring? 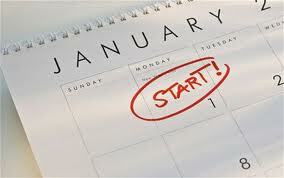 Who doesn’t love a chance to start fresh and really focus on what you want to accomplish with a whopping 365 days to do so. We have a hunch that preparedness may not be number one on most New Year’s resolutions lists, but we do hope to get in the top five. How and why? In its most boiled down state, preparedness is easier than most think and when doing so, you are taking actions now that will make a big difference to your quality of life—and how soon we can get back to normal—should something bad happen. Just imagine that feeling of losing five pounds coming as easily as realizing your manual can opener puts you in the ‘prepared’ camp. And whatever you do to prepare, we hope you will share that your family and friends. Hearing it from you is where the preparedness message ‘rubber meets the road’. 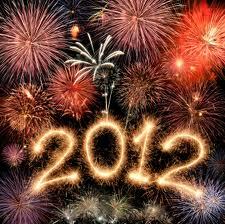 Happy New Year from all of us at the San Francisco Department of Emergency Management and wishing you and yours a prepared 2012!